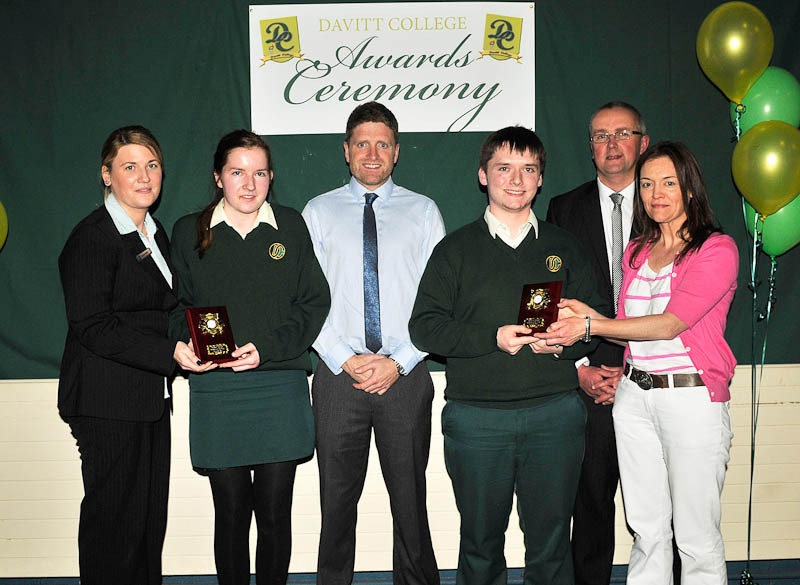 Davitt College, Castlebar hosted its Annual Awards Ceremony on Thursday 15th May 2014. 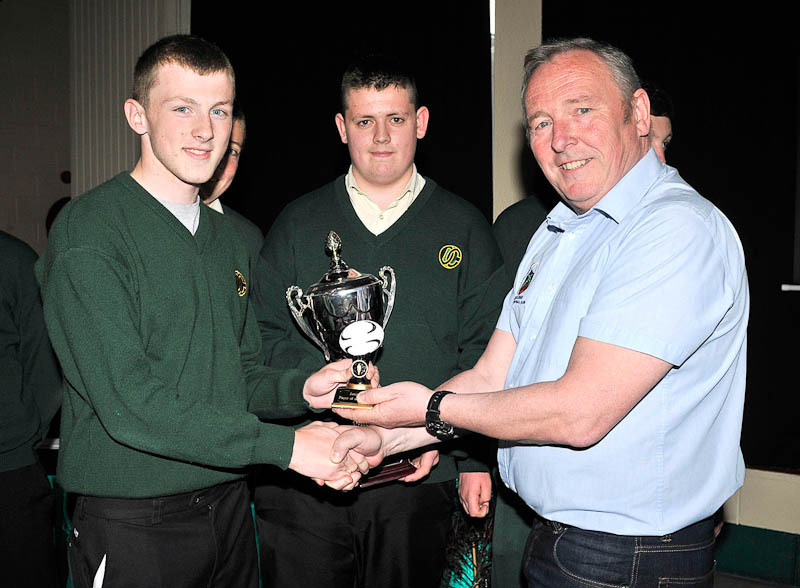 Mr. Paraic Horkan, Horkans Lifestyle Centre, was guest of honour where over 200 students received awards ranging from academic, sport, music and extra-curricular activities. 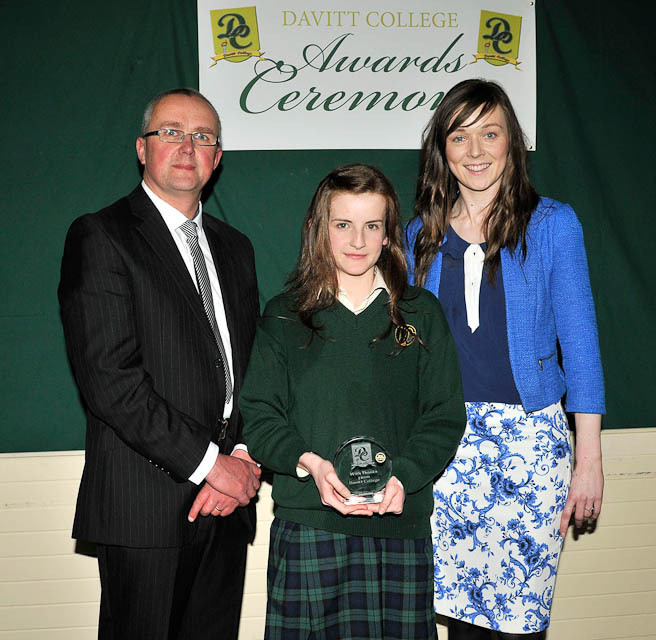 Wishing the students continued success, Ms. Bernie Rowland, Principal, said the awards were a mere stepping stone to greater achievements in the future and sincerely hoped that the students would go on to achieve their life's dreams and ambitions. In conclusion she acknowledged the part played by the students' families and teachers in assisting and encouraging all students on their journey. 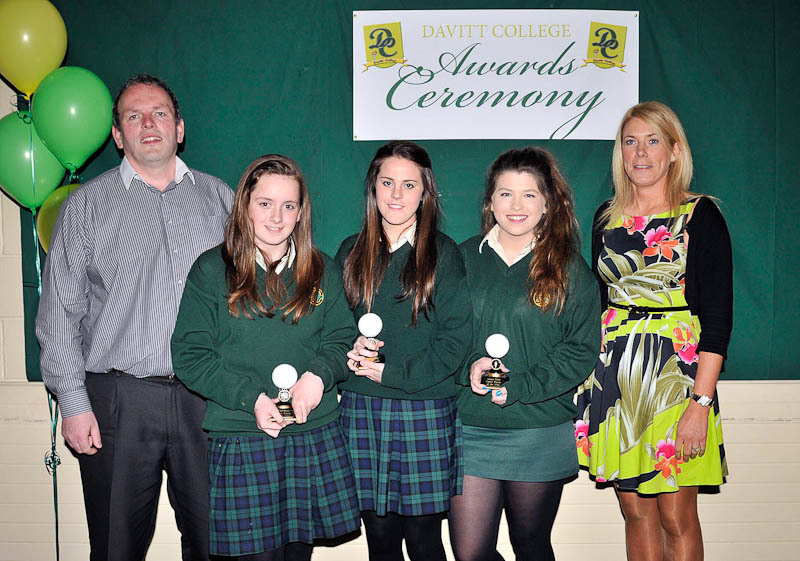 Davitt College Awards 2014, Girls Gaelic Player of the year award winners, l-r; Michael Gallagher, coach, Shauna Brogan, (u-14’s), Laura Bourke, (senior), Laura Brody (junior) and Sinead Flynn, PE teacher. Photo © Ken Wright Photography 2014. 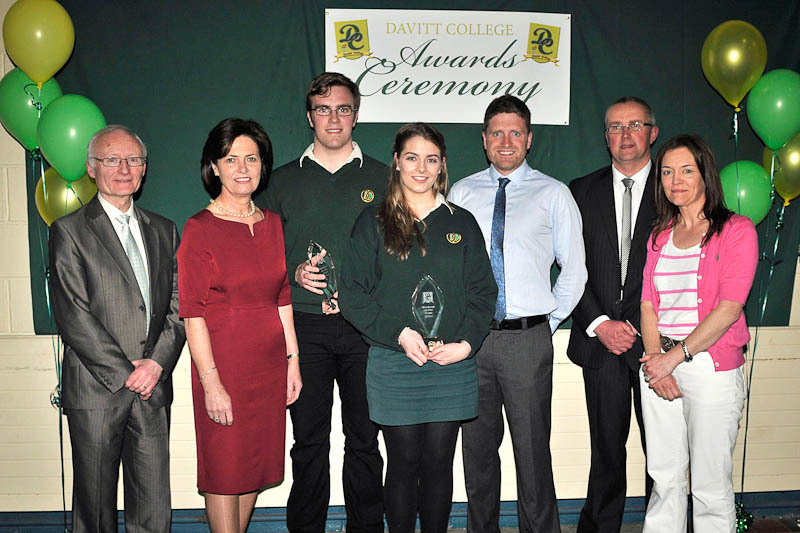 Davitt College Awards 2014, sponsor Padraic Horkan, Horkan’s Lifestyle Centre presenting Michelle Kelly with the BOI senior sports person of the year award, also in the picture Michael Gallagher, sports assistant and Sinead Flynn, PE teacher. Photo © Ken Wright Photography 2014. 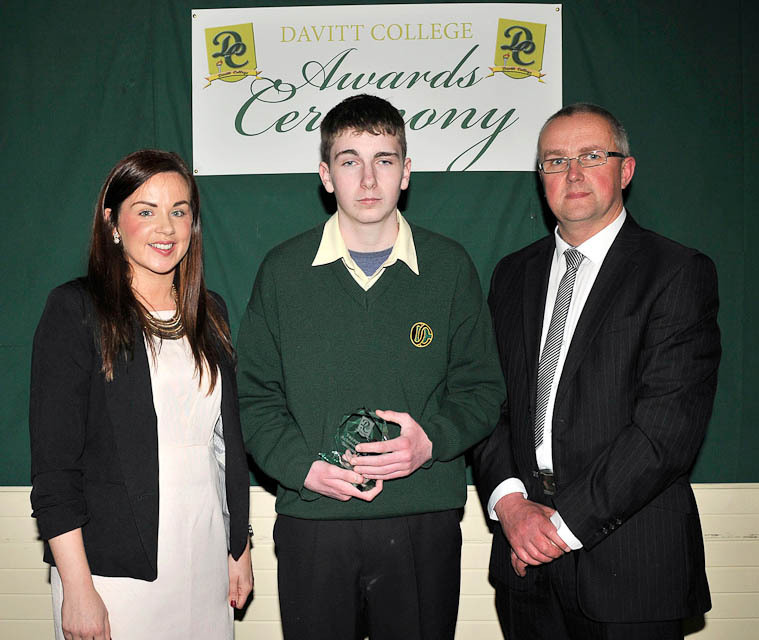 Davitt College Awards 2014, exceptional achievement in second year award winner Matthew Fahey with Emer Whyte, teacher and sponsor Padraic Horkan, Horkan’s Lifestyle Centre. Photo © Ken Wright Photography 2014. 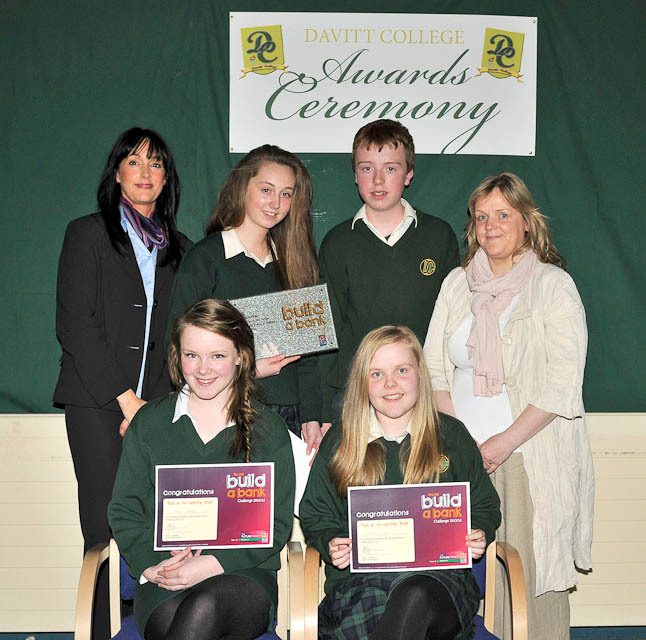 Davitt College Awards 2014, Ms. Helen Quinn, AIB and Ms. Stephanie Kelly, Mentor and Teacher congratulate Davitt College students Shannon Mangan, Conor Moran, Amy Vahey and Niamh O’Reilly on their excellent performance in the AIB Build a Bank National Finals 2014. 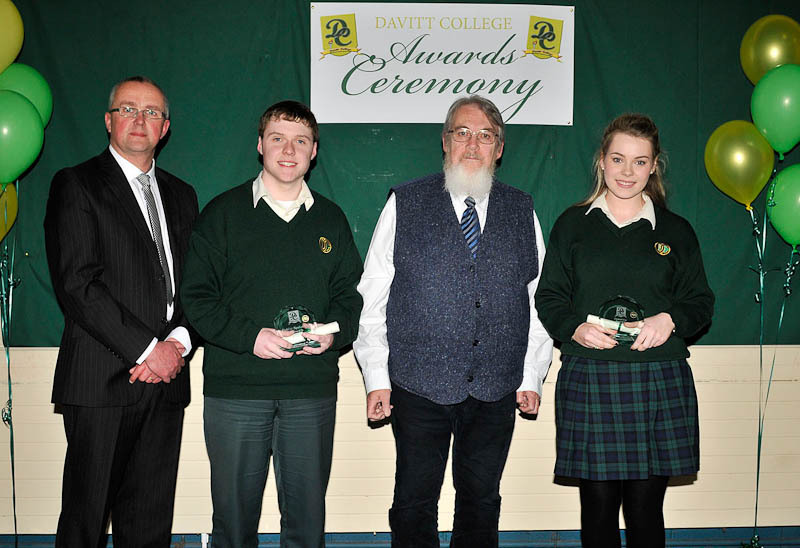 © Ken Wright Photography 2014..
Davitt College Awards 2014, Davitt College Awards 2014, Liam Higgins and Jordan Lynch are presented with Public Speaking Awards 2014 by Mr. Paraic Horkan, Horkan’s Lifestyle Centre and Mr. Liam Egan, Teacher. © Ken Wright Photography 2014. 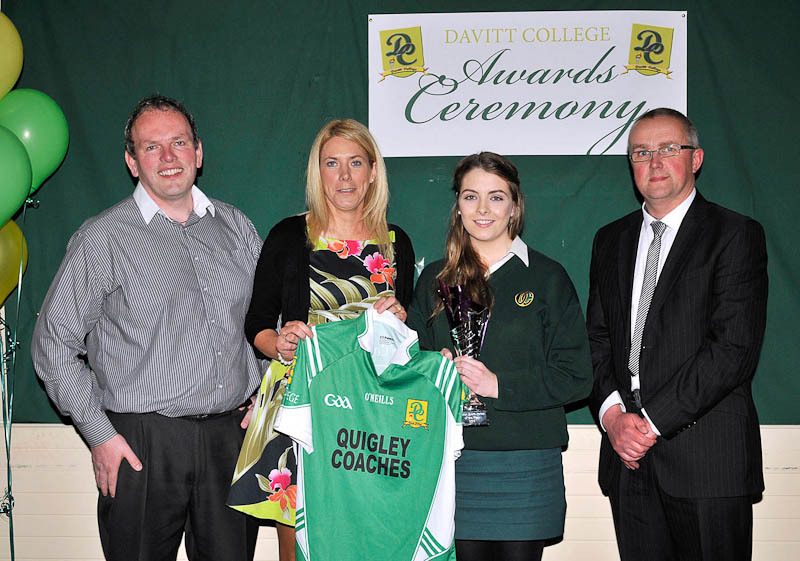 Davitt College Awards 2014, Killian O’Brien and Daniel Brogan U-16 Rugby team with Seamus King, sports assistant. Photo © Ken Wright Photography 2014. 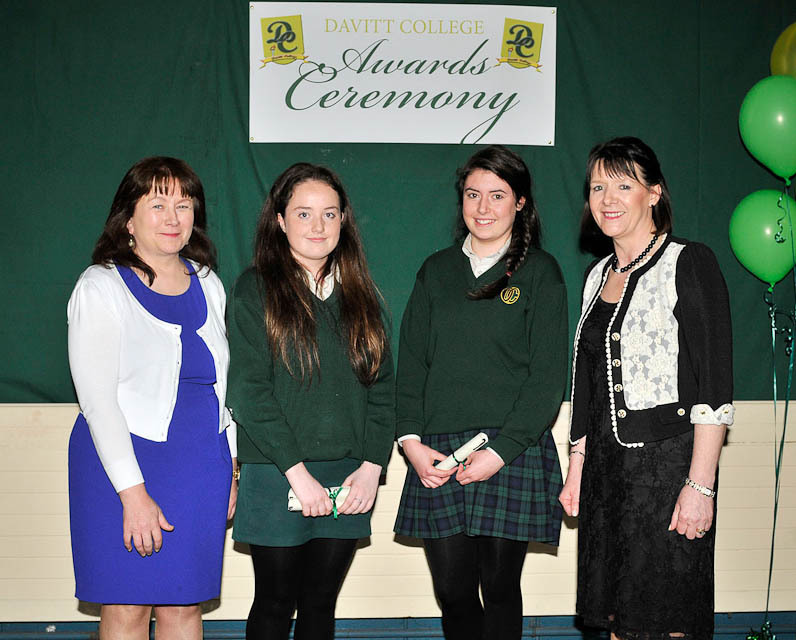 Davitt College Awards 2014, Nora Conlon and Helen Murphy are congratulated on their Academic Achievement in the Junior Certificate 2013 by Mr. Paraic Horkan, Horkan’s Lifestyle Centre and Mr. Ger King, Deputy Principal, Davitt College and Mr. Michael Cannon, Year Head. Photo © Ken Wright Photography 2014. 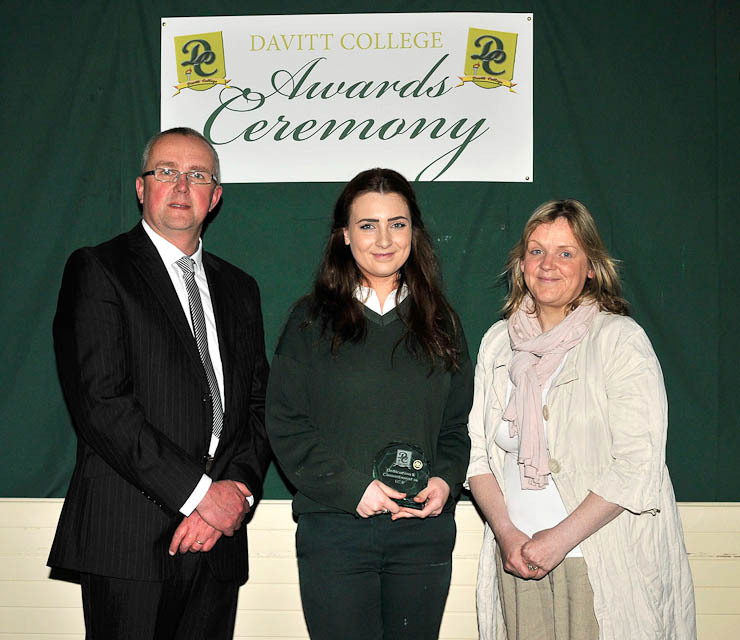 Davitt College Awards 2014, dedication & commitment in LCA l-r; sponsor Padraic Horkan, Horkan’s Lifestyle Centre, Roisin O’Shea and Stephanie Kelly, teacher. Photo © Ken Wright Photography 2014. 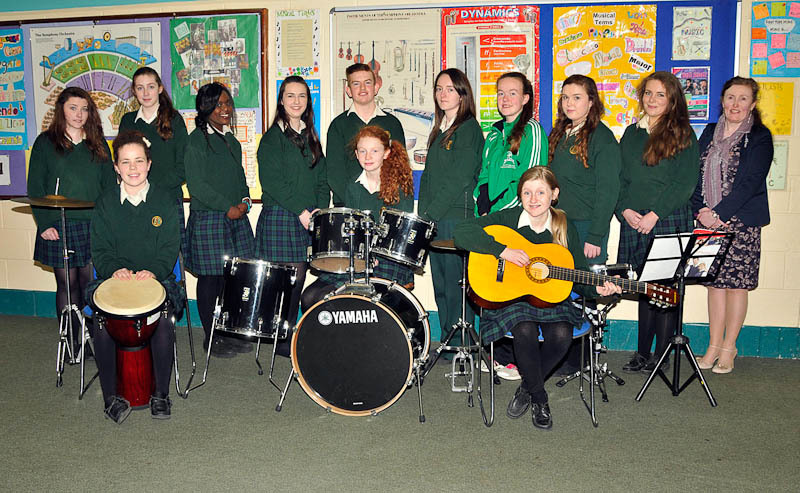 Awards Night Orchestra Photo Back left to right: Lisa Gainley, Claire McHale, Nathalie Fundu, Aoife Halligan, Michael Flately, Caitriona Munnellly, Aishling Hughes, Andrea Gavin, Holly Logan, Phil Duffy teacher. 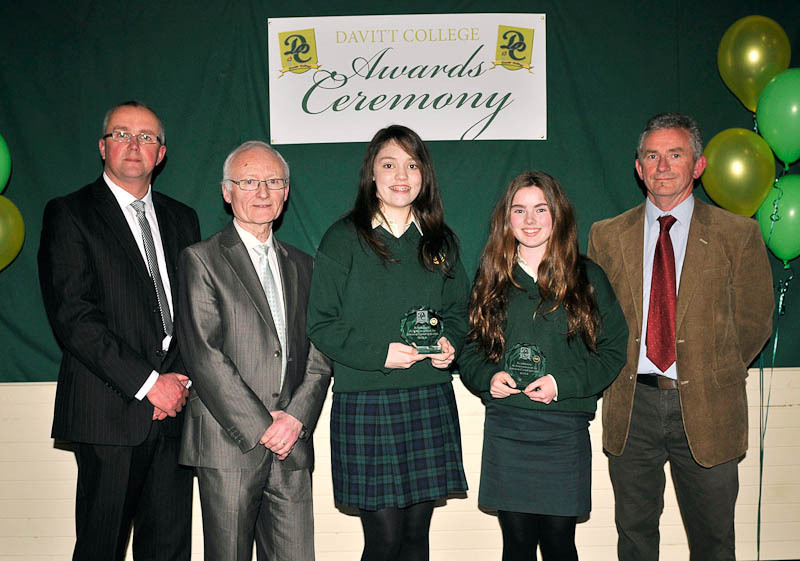 Seated left to right: Ciara Whyte, Johanna McDonagh, Jade Whiriskey Photo © Ken Wright Photography 2014. 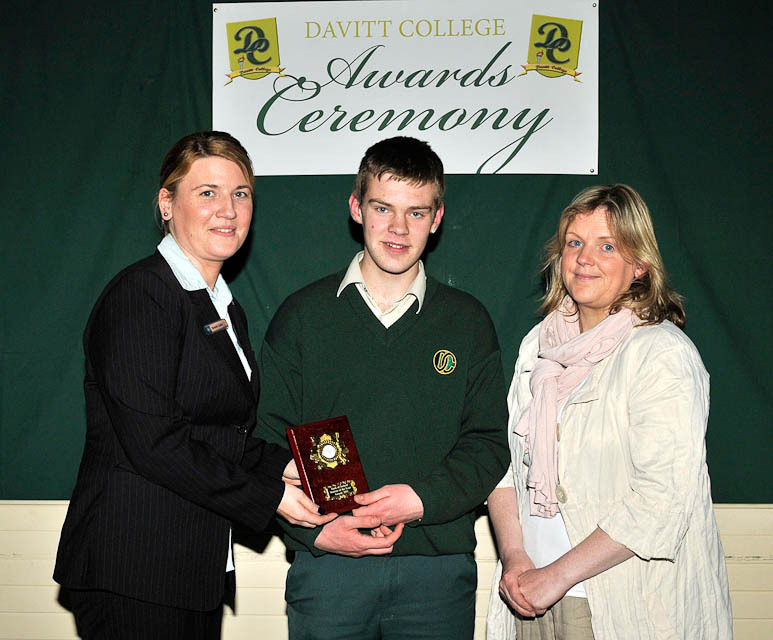 Davitt College Awards 2014, LCA student of the year BOI award to Aaron Chambers pictured with Sinead Cuffe, Bank of Ireland Castlebar and Stephanie Kelly, teacher. Photo © Ken Wright Photography 2014. 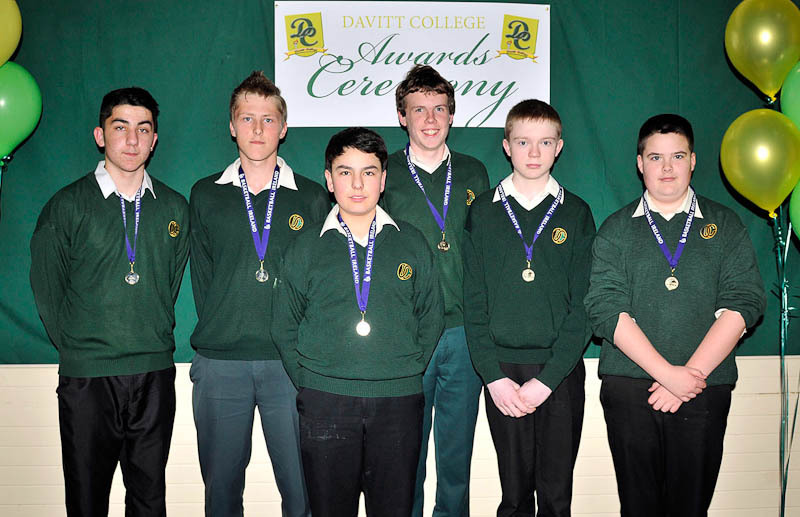 Davitt College Awards 2014, Boys Junior Basketball team, l-r; Emile Samko, Bartek Zalewski, Santiago Fernandez, Eoin O’Malley, Liam McEllin, Gearoid Heraghty. Photo © Ken Wright Photography 2014.